The next morning Toby is waiting outside the studios before they’ve even opened up, he’s so eager to get started on his work. He’d rung the coach the night before and checked that David had indeed been in touch with him as promised, and although the coach had been a little reluctant to let him miss training for the whole day he had eventually told Toby that he could go to the film studio. Toby has been given a warning though, that if he misses more than three training sessions he will be out of the Academy. The news hadn’t worried Toby as much as he knew it should have but he’s too excited about today to really care. The doors are finally unlocked and as soon as Toby sets foot in the building he is met by Zoe. She leads him back to the hall that they were in the day before and asks him to wait on some of the chairs. Toby settles himself down to play a game on his mobile but as people start to come in and begin to get the equipment all set up, he soon finds himself entranced by all the activity. There’s so much more to filming something than he ever thought and he eagerly soaks it up, wanting to learn as much as he can. Zoe appears a little while later and encourages him to go through his lines again. He starts flipping through the script and works out exactly how he’s going to play each line. Toby looks over and sees David giving air kisses to each cheek of a brunette. She steps back and he can finally see her face. She’s stunning and for a moment, just a second, Toby can’t breathe. She’s classically beautiful with defined cheekbones and a perfectly straight nose. She’s got big brown eyes and her brown hair is professionally highlighted and styled. Her curves are amazing as well and he finds his eyes tracing them up and down. Toby’s heart plummets. She’s exactly the type of girl that would ignore him. The way she rolls her r’s and elongates her vowels tells him all that he needs to know. She’s posh totty, probably went to private school and likely hasn’t done a real day’s work in her life. The way she’s looking at some of the men around, her nose wrinkling in disgust every time one of them comes a little too close, the way she jumps out of the way as they pass by, it all tells Toby that she’s probably stuck up and full of herself. Then again, he reminds himself, the performing arts tends to be full of rich kids from middle class backgrounds, they’re the only ones who can actually afford to go to drama schools and who’s parents will actually let them attend. He looks her up and down again. It’s a pity really, that she’s so fancy and stuck up. She might be completely different to him culturally and socially but in Toby’s book she’s exactly his type. 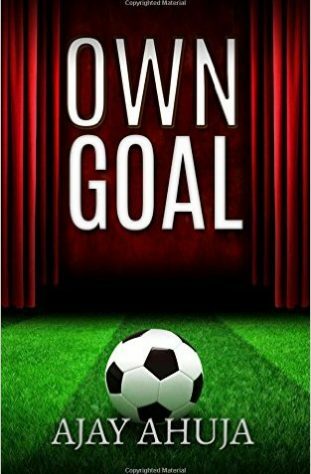 He shrugs to himself and focuses on his lines again, reading through the script and getting in to the character of a young Wayne Rooney, before he got world famous and before he cocked his whole life up. He shakes her hand and then turns back to his script. He doesn’t miss the fact that Fiona wipes her hand on her coat or that she’s looking down her nose at him like she looked at the crew. “Of course,” Fiona drawls, a bright smile on her face. David smiles back, too wide and with too many teeth, before he turns and walks away. The smile instantly drops from Fiona’s face and she looks down at Toby with disdain. Her eyes flick to the seat beside him but she doesn’t take it. Instead she wanders off to a sofa that’s placed against a nearby wall and settles on to that. She hangs up the phone and when Toby looks over his shoulder to glance at her she gives him a tight smile and then looks away. He sees her rolling her eyes though. He turns his attention back to his script and shakes his head. He just needs to ignore her words, focus on what he’s there to do and become Wayne Rooney. It should be simple. Toby stands and stretches. Fiona just strides past him but they almost collide. He forgot that she was behind him. He stops and steps aside, waving his arm to let her go first. She nods at him but that’s it. They walk in front of the green screen and settle on the old sofa that one of the crew must have put there earlier. They look at each other and then at David. He turns to the camera man for a moment and nods before he looks back towards Fiona and Toby. Fiona and Toby both nod. David smiles and steps back. Toby looks at Fiona, trying to fight back the memory of her harsh words. He puts Coleen’s face over hers, imagines Fiona as Coleen and then himself as Rooney. He imagines the uncertainty Wayne was probably feeling, how terrified he must have been, how much he didn’t want to make a mistake. He begins to feel like Rooney, like a large headed balding man with the love of a good woman who will stand by him throughout anything, he feels that burning desire to become a footballing legend spark up within him. He reaches out and takes Fiona’s hand. She jumps, flinches a little but it’s barely noticeable. He can only tell because he can feel her pulse racing in her wrist. They sit there for a moment, in silence as they just look in to each others eyes. Coleen sighs. Wayne looks away, his entire body shaking. The idea of letting the manager down, after how supportive he’s been for so long fills Wayne with a massive feeling of guilt. The thought of the man’s reaction makes him feel sick, heavy like he’s being squashed under a rock. Coleen nods at him encouragingly, a small smile on her face. He smiles back but it feels a little forced, like when he tries to smile for the camera. Wayne smiles. He gets a little closer to Coleen, his girlfriend deserves a kiss after all. Toby and Fiona jump in surprise and Fiona scuttles away from Toby, putting a large amount of space between them. Toby feels a little confused, discombobulated. He’s filled with this rush of emotions that aren’t really his and he’s trying to get them in order. For a moment he forgets who he really is, where he is and looks around in a bit of a daze. David walks forwards, clapping his hands slowly and looking between both of them. He’s smiling widely. He looks down and blushes, trying to hide the wide smile that feels like it’s going to split his face in two. He stands up and hands the script over to David. Toby practically bounces out of the studio. His entire body feels electrified, like he does after they win a big match but even stronger. He feels like he could run and jump and turn somersaults without running out of breath. He doesn’t want to go back to training, or to sit around at home. He wants to move, to see the outdoors and watch people, figure out why they might act or move the way that they do. So he decides to head in to town. As he walks the streets of Skelmerage town he thinks back on the morning, reminiscing on everything that had happened. Even the memory of Fiona’s rude supposition of his character isn’t enough to bring him down. He knows that he nailed the role, that he got it exactly right. It had all gone exactly as Toby had spent the night before planning. He’s got every emotion down just how he wanted, every word had been spot on with just the right amount of emphasis. He looks around as he walks, takes a deep breath in and smiles widely at anyone who walks past him. All of the colours seem brighter, the lights shiny, the lines and shapes of everything are clearer. For the first time in a very long time Toby feels properly alive and he loves it. Of course he’s felt the same feeling before, after matches and games where he did particularly well. But never before has it been so strong, has everything felt so vivid. He feels unstoppable. The entire day has been a dream come true, he loved everything about it, the cameras, the acting, the bright lights, all of the eyes on him. He adored the limelight, being the focus of everyone’s attention. Toby slows down as he walks and he begins to think things out. He begins to wonder whether football is really what he wants to be doing. Sure, on the pitch he gets plenty of attention and focus, people cheering for him, cheering his name. But there are at least twenty one other players that he’s sharing that attention with. None of the focus, none of the appreciation or the cheering is just for him. But on the stage! On the stage, whether it’s an actual stage or in front of a camera the focus is entirely on him. No one else measures up. When Toby is speaking everyone is looking at him, paying attention to him, feeling what he feels and thinking what he thinks. In the long run, Toby realises as he comes to a complete stop, the football pitch has just been a surrogate for his entire life. It’s just been a way for him to get the attention that he craves and needs because he never realised that there was something better out there. But now he has and now that he’s tasted it, well he wants more, as much as he can get in fact. Football might put him in the limelight, but it’s a shared limelight and it’s the wrong limelight for Toby. His heart sinks a little when he realises that he’s still got to find a way to tell his dad this fact.